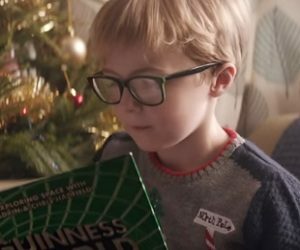 Morrisons has released the first two Christmas adverts, highlighting how the supermarket chain helps customers creating special moments at home with their family. The 40-second spot titled “Morrisons Makes It” features a young boy revising questions ahead of a Trivial Pursuit game, helped not only by his family, but also by Morissons staff throughout the store, while he and his mother buy food for Christmas day. The advert ends with the boy and his family at the table on Christmas day, with everything they need on the table, including the real Trivial Pursuit game, that he received from Santa. “Everything you need to be ready for the big day – Christmas. Morrisons Makes It” – says the voiceover at the end. The song used in the ad is a remix of Will Young’s single “Joy”, orchestrated by Young himself.